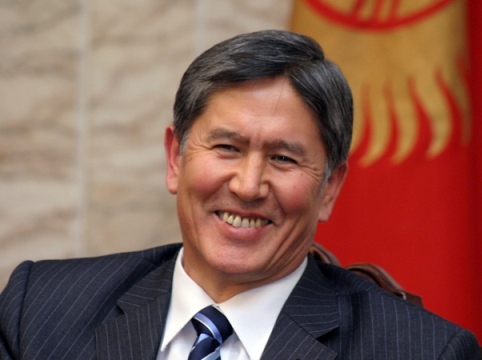 Speculation is mounting in regard to the possible constitutional changes with the country’s mixed system of government in Kyrgyzstan, which is expecting a presidential election in 2017. Led by Kyrgyzstan’s president, a number of parties represented in the parliament put forward an initiative to amend the country’s current constitution which was adopted in the referendum after the coup in 2010. Kyrgyz President Almazbek Atambayev signed the constitutional law on holding a referendum on October 31, informs the official website of the President. The proposed constitutional amendments include provisions granting more powers to the cabinet and to leaders of parliamentary factions, as well as, allow combining the position of the prime minister, or deputy prime minister with MP activities. The possible changes in the Constitution were met unambiguously within the country, thus attracting the attention of the West to this legislative initiative. On one hand, some politicians consider that Atambayev wants to alter the constitution according to his own interests since his presidential term expires in 2017 and the constitution prohibits him from a second run. One the other hand, others criticize that the constitution in its existing form lacks a certain division of powers between the president and prime minister that can stoke political conflict. The existing legislation stipulates that Kyrgyzstan’s mixed presidential-parliamentary constitution cannot be altered until 2020. However, it’s worth noting that legal provisions have not prevented the ruling elite from making revisions in the past either. Atambayev’s harshest critics believe that his calls for a weaker president, stronger prime minister and parliament are predicated on a desire to maintain such a system, or at least ensure his own inviolability under a future chief executive, someone who could possibly be a political enemy of the incumbent’s. However, Atambayev himself has said repeatedly that he will not seek the role of the prime minister or any other national political office once his current presidential term ends in 2017. Although the possible amendments to the Constitution meet with concern out of the country, most of the population, including the opposition figures consider these changes as a positive step. Agreeing with proposed changes, the former Member of Parliament, lawmaker and an opposition figure Ravshan Jeenbekov said that “for the last six years, we have learned towards the presidential model and the authoritarian tendencies that accompany that model’, adding that “Atambayev may want to change the constitution to ensure his own safety and that of his property, but it would still be a good move since our destiny is to be a genuine parliamentary democracy”. The referendum is planned to be held on December 11. Holding a referendum on the draft law on amendments to the Constitution of the Kyrgyz Republic may be considered by the Parliament of Kyrgyzstan if the relevant initiative is made by not less than two-thirds of the total number of MPs, or not less than 300,000 voters, or 10,000 voters (a popular initiative), or MP, or the Government of Kyrgyzstan. The CEC recognizes the referendum valid if there have voted more than 30 percent of voters, included in the list of participants in the referendum. CEC recognizes the decision adopted at a referendum if more than a half of participants in the referendum have voted for it, according to the law. In addition, the Central Election Commission declares the decision adopted at the referendum if for the imposed issue more than half of the participants who took part in elections voted. The referendum is declared invalid if the election results were invalidated in a part of the areas where more than a third of participants of a plebiscite voted. Kyrgyzstan is a parliamentary representative democratic republic, whereby the President is the head of state and the Prime Minister of Kyrgyzstan is the head of government. Executive power is exercised by the government. Legislative power is vested in both the government and parliament. Kyrgyzstan has had three constitutions: the original 1993 post-independence document which was amended twice before and twice after the 2005 Tulip Revolution, a constitution passed by referendum in 2007, and the present constitution passed by referendum in 2010 after the second revolution.